The first ever PokerStars Championship event takes place in January with an action-packed nine-day extravaganza at the Atlantis resort in the Bahamas. The Championship event runs January 6 – 14 with more than 90 different tournaments on the schedule including the $5,000 Main Event, the $25,000 High Roller and $10,000 Super High Roller. As well as high-octane tournament action, there are also a wealth of fun activities including Virtual Reality competitions, AFC/NFC Tailgate & Squares Competition and the Player Party at stylish Aura Nightclub. The eagerly-awaited new poker tournament series, previously known as the PokerStars Caribbean Adventure (PCA), has been a staple of the global circuit since 2004 and is one of the most prestigious festivals anywhere in the world. Check out our Bahamas hotel options here – including rooms in the exclusive Atlantis Royal Towers along with stunning suites at The Cove. 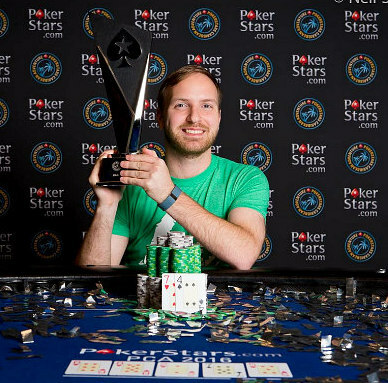 Last year, the $5,000 Main Event was won by Canadian pro Mike Watson for close to $730,000 after he beat former runner-up Tony Gregg heads-up. The stacked final table also included WSOP bracelet winner Phillip McAllister, EPT Vilamoura champion Toby Lewis, Russian high stakes player Vladimir Troyanovskiy and American pro Timothy Ulmer. There were 928 entries creating a prize pool of $4,500,800.